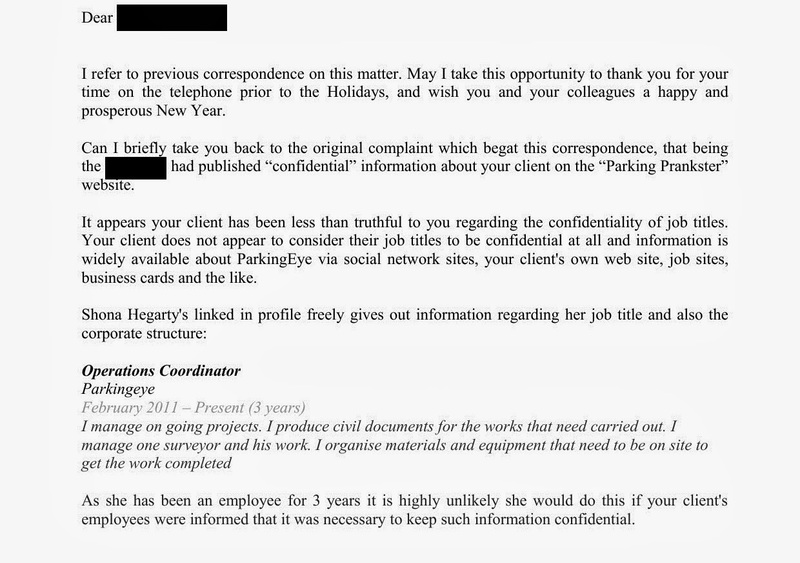 Previously The Parking Prankster redacted some information regarding job titles at the request of ParkingEye. The Prankster has now reconsidered that decision, and it is his opinion that this information is in the public interest and is published in his accordance with his article 10 rights. As ParkingEye are regularly in the habit of making untrue statements in court regarding their pre-estimate of loss calculations, The Prankster considers it is in the public interest to know just how many ParkingEye employees are involved with ticketing, and how many employees have jobs which cannot be included in any pre-estimate of loss calculation. ParkingEye regularly state that the cost per ticket issued to them is £53, while their own accounts show it can be a maximum of £16. The job titles further show that this maximum of £16 will in reality translate to a true figure of somewhere between £5 and £10. 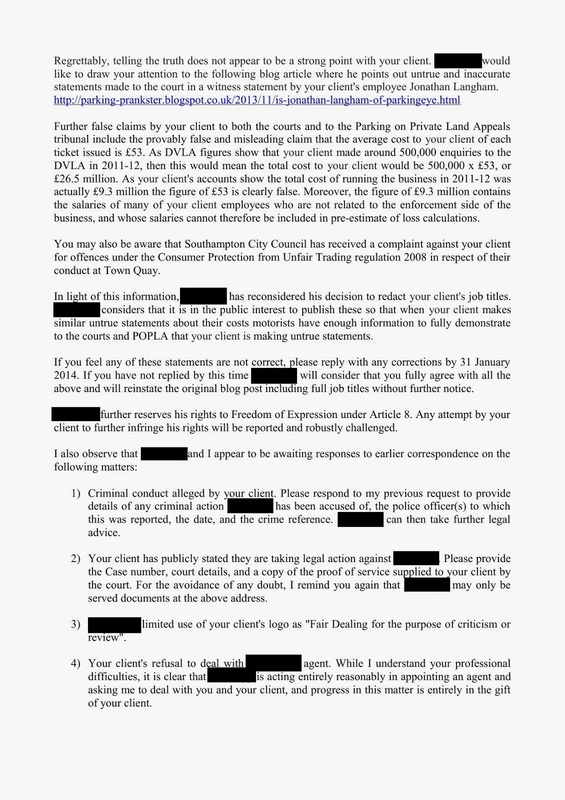 The Prankster gave ample notice of his intention to unredact to ParkingEye, who chose not to object, and therefore to implicitly agree with the contents of his letter, stating that false claims had been made to the court and so on. Wow ! seems like that there are a lot of people profiting from this model. Oh dear. I don't think Rachel is going to be too please. Shame! Love it!! How could someones job title be considered confidential in any way? Is POPLA fit for purpose?